The Center for Spatial Research (CSR) is undertaking a multiyear project investigating what we have termed Conflict Urbanism. The term designates not simply the conflicts that take place in cities, but also conflict as a structuring principle of cities intrinsically, as a way of inhabiting and creating urban space. The increasing urbanization of warfare are examples of the term but conflict is not limited to war and violence. Cities are not only destroyed but also built through conflict. They have long been arenas of friction, difference, and dissidence, and their irreducibly conflictual character manifests itself in everything from neighborhood borders, to differences of opinion and status, to ordinary encounters on the street. 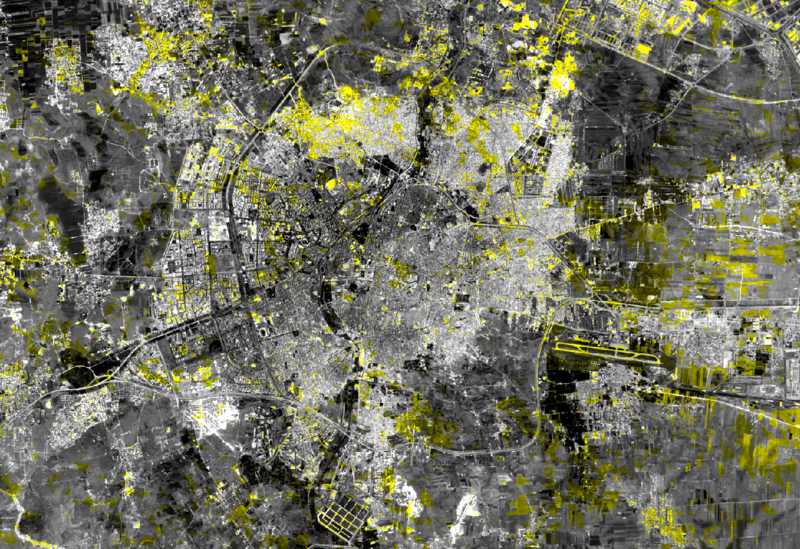 This article discusses two projects currently under way at CSR that use mapping and data visualization to explore and analyze Conflict Urbanism in two different contexts: the city of Aleppo, and the nation of Colombia. This article, published by the open access journal Urban Planning, outlines recent work as part of the multiyear Conflict Urbanism project. This article discusses two projects currently under way that use mapping and data visualization to explore and analyze Conflict Urbanism in two different contexts: the city of Aleppo, and the nation of Colombia. 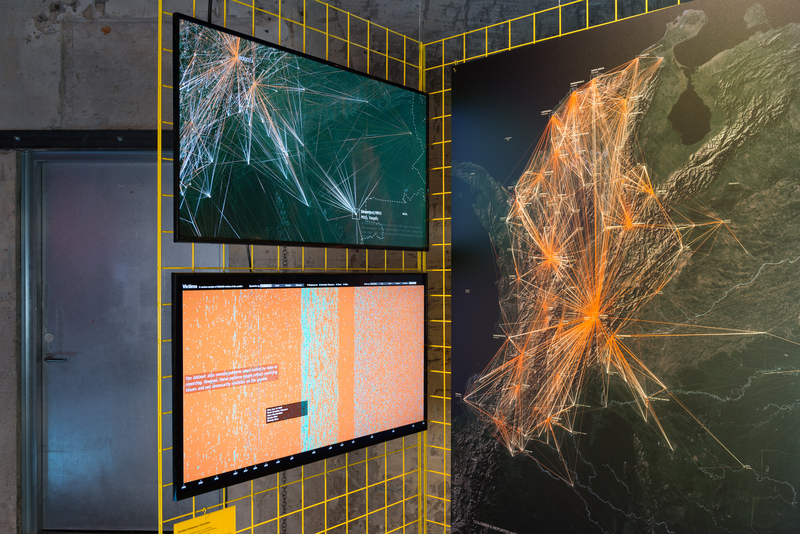 Both projects interrogate the world of ‘big data,’ as a means to open up new areas of research and inquiry, but with a particular focus on data literacy as an essential part of communicating with these new forms of urban information. Taxicabs are critical complements to public transit systems. In New York City, ubiquitous yellow cabs are as iconic as the city’s subway system, and the city recently added green taxicabs to improve taxi service in areas outside of the Central Business Districts and airports. In this paper, we used multiple datasets to explore taxicab fare payments by neighborhood and examine how paid taxicab fares are associated with use of conventional banking services. There are clear spatial dimensions of the propensity of riders to pay cash, and we found that both immigrant status and being “unbanked” are strong predictors of cash transactions. These results have implications for local regulations of the for-hire vehicle industry, particularly in the context of the rapid growth of services that require credit cards to use. At the very least, existing and new providers of transit services must consider access to mainstream financial products as part of their equity analyses. In this paper, we used multiple datasets to explore taxicab fare payments by neighborhood and examine how paid taxicab fares are associated with use of conventional banking services. There are clear spatial dimensions of the propensity of riders to pay cash, and we found that both immigrant status and being “unbanked” are strong predictors of cash transactions. These results have implications for local regulations of the for-hire vehicle industry, particularly in the context of the rapid growth of services that require credit cards to use. Over the course of the last thirty years, more than 7 million Colombians have left their homes and towns in a search for safety. 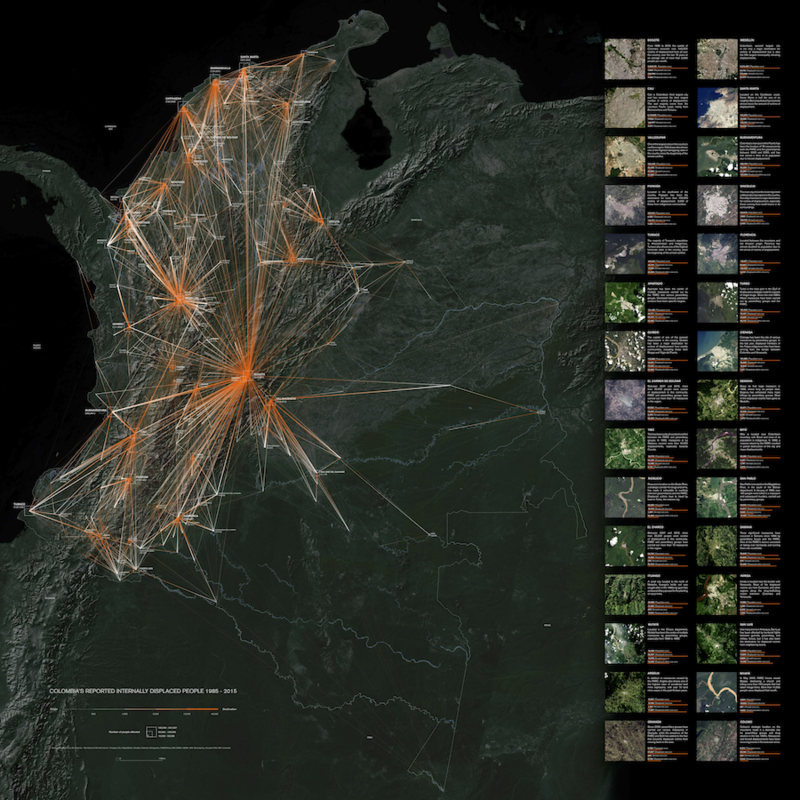 In this project we plot the trajectories of these Colombians in conflict. This mass migration, with its dense network of specific and often hyper-local causes, forms one part of the much larger global story of human beings on the move, mostly from countryside to city. But this movement of people also underlines the fact that the massive urbanization of the planet is born out of conflict. This article about our contribution to the 2016 Oslo Architectural Triennale was published in the exhibition’s catalog, After Belonging: The Objects, Spaces, and Territories of the Ways We Stay in Transit. Over the course of the last thirty years, more than 7 million Colombians have left their homes and towns in a search for safety. 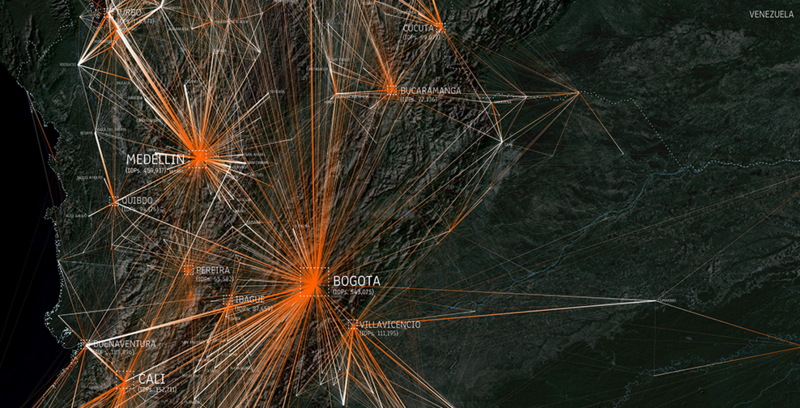 In this project we plot the trajectories of these Colombians in conflict. This article about our contribution to the 2016 Oslo Architectural Triennale was published in the exhibition’s catalog, After Belonging: The Objects, Spaces, and Territories of the Ways We Stay in Transit. Through a series of in-class exercises and take-home assignments, students will learn how to critically engage and produce interactive data visualization pieces that can serve as exploratory and analytical tools. The course will be centered around a semester long data visualization group project, through which the students will learn the basics of data visualization, data analysis, data collection, programming and version control. However, even though the course will teach specific visualization tools, the main conceptual thread will be centered around how to work with data, both in the humanities and in architecture and urbanism. Students will define their final projects around their own interests, and will bring their own datasets into their final projects. View the syllabus and all course materials here. 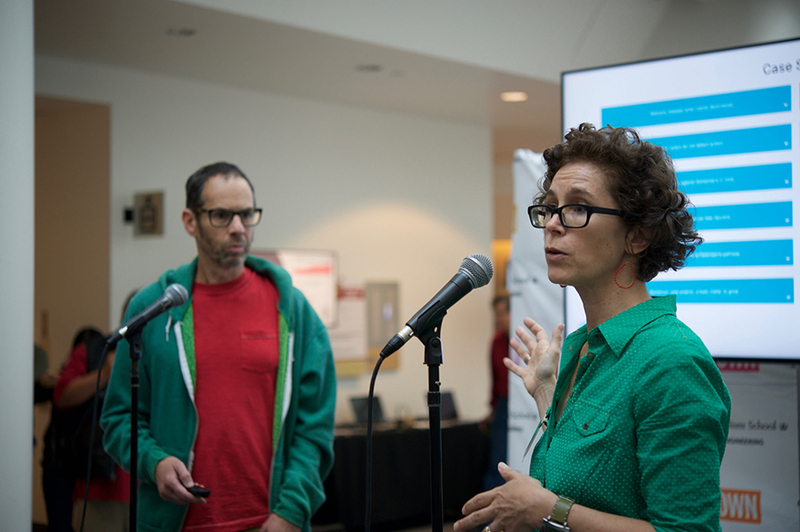 Science Surveyor Demo was launched at the first annual Brown Institute Media Innovation Showcase at Stanford University. Science Surveyor is a tool developed for science journalists that uses cutting-edge algorithms to characterize the scientific literature on a selected topic. Using the abstract and citations of a peer-reviewed paper, Surveyor provides journalists context about that paper in several easy-to-read visualizations. Our Conflict Urbanism: Colombia will be on view at the Oslo Architecture Triennale, After Belonging from September 8 to November 27, 2016. The project traces the trajectories of Colombians who have migrated between 1985 and 2016 as a result of the decades long conflict between state and non-state actors, which is hopefully nearing its end. After more than three years of negotiations between the government and the FARC, Colombian citizens might soon vote on a referendum to approve a historic peace accord between the two parties.